My Tribute to Sony’s wonderful Playstation 2. What can I say about the Sony Playstation 2 (PS2)? In my mind it’s the one of the greatest systems out there. It had almost a 13 year run, and was sadly discontinued on January 7th of this year. You can’t really say anything bad about a console that grew to the age of most 8th graders in a world where technology becomes obsolete in [right around] 6 months. Although I do think it’s funny that all of the other discontinuation articles or blogs I’ve read say something to the affect of: “So long PS2! Sony’s most popular console is officially off the market.” Really? Of course it’s the most popular console; it’s only been out for 13 years. Before that was the Playstation 1 (PS1). That wasn’t a terrible console, but it was up against some heavy competition from the two titans of the industry at the time. Released in late 1995, the PS1 hit the scene. Immediately it was in competition with the Super Nintendo until 1996, (when the Nintendo 64 came out) and the Sega Genesis. A lot of parents were weary about buying their kids a PS1 for the same reason why they were skeptical about the original XBOX when it first came out. It was a produced by a “new” company, with no established credibility in the video game industry. I’m sure next to no one knew this back in 1995/96, but the only other console that Sony had ever produced was a CD based model actually financed by Nintendo. It was a flop for a lot of reasons. But more power to the people at Sony for taking what they learned from Nintendo and venturing out on their own to become one of Nintendo’s biggest competitors. Who would have ever thought that would happen? Anyways, back to the guts of what I was saying… Being right about 10 years old at the time, me and most of my friends had either a Genesis, or a SNES. I didn’t get a PS1 until a few years later in 1999, around the same time the Sega Dreamcast came out. I remember that Christmas! 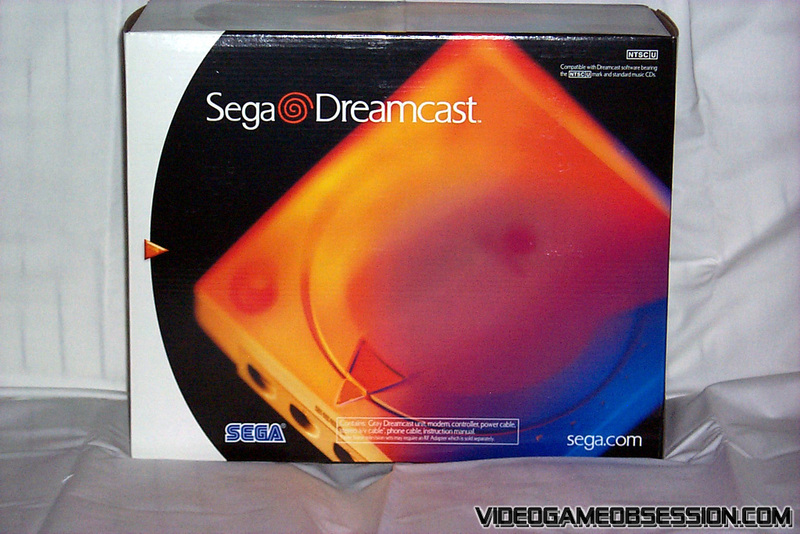 I was actually more of a Sega fan during my youth, and needless to say, wanted a Dreamcast more than anything else in the world. Looking back on it now, how could anyone NOT pick the Dreamcast over other systems? Do you remember the commercials? Nice and colorful. Something kids would want, right? Wrong. Everyone took the “ninja-box” for granted. Or a lot of us did. Ok, maybe it was just me. In either case, the PS2 ultimately won without even breaking a sweat. The Dreamcast’s lifespan lasted a measly few years. About 2 or 3. I’m not even going to look it up—that’s how short it was. While the PS2 continued its reign for that PLUS a decade. And it’s still a console that begs to be played. I still have mine sitting right next to my PS3, and honestly, lately, it’s been getting more use than the PS3. Also, according to wikipedia and a few other articles, Sony has stated that there are 10,828 titles available for the PS2. That is an enormous number, considering it took the entire lifespan of the NES to amass around 900 titles in its library. But what else can you expect from the PS2, which is a system that brought about the success of companies like Rockstar Games and EA (Sports division) almost single-handedly. It also made popular the Dance Dance Revolution and Guitar Hero franchises. To this day, I can’t go to a family gathering without there being a Guitar Hero competition, and I dare you to walk into an arcade –any good, respectable arcade– without there being at least 2 DDR platforms. All that parental fear of Sony went away with the release of the PS2. I remember fondly when it came out. Five days before Halloween in the year 2000. The world was still talking about Y2K and people were still exclaiming about how “We (as a society) overcame the biggest could-be technological poop-storm in the world!” –To date, anyway. 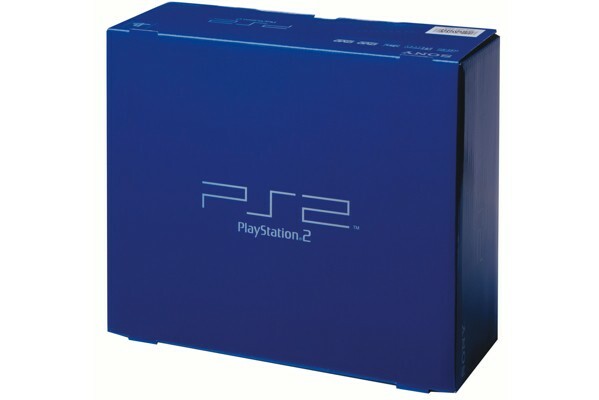 Within 24 hours of the PS2’s release in Japan, it sold a million units. It was the main reason why the Dreamcast’s release date was delayed 2 or 3 times (15 year old me got an ulcer every time I heard the date got pushed back). AND it caused Nintendo to completely tear down and rewrite their policy considering 3rd party software developers. Nintendo, pre-PS2, wanted to be the only company making software for its consoles, with a few exceptions. Post-PS2 Nintendo actually encouraged 3rd party development and expanded its horizon farther than what it thought was possible. For me, that was the turning point. After the PS2 made itself known and told the world it wasn’t going anywhere; that was the point where Nintendo was dethroned as ruler of the world. Remember those days? Yes, in those days, Nintendo controlled everything! I could go on and on about the PS2. I’m sad it’s gone, it had a good run. Sony implemented a lot of innovations on the PS2 over the years (the games, the console itself, the controllers, networking capability) that it’s still using and improving on. Look at a Dualshock 2 and a Dualshock 3 controller and tell me what the differences are. OK, one is wireless, you got me. Other than that? In closing, thank you Sony for the Playstation 2. It had a great run, and I look forward to playing it for years to come (plus now is the time to hit up the flea markets, yardsales, ebay, whatever because the price has gone way down on everything!). Rest in Peace PS2. I better cut it here before I keep, uh… whatever the writing equivalent of “rambling” is. I just wanted to use this as an opportunity to let my fans and readers know that I am back from hiatus, and will be continuing to add to this site as often as I can. Thank you for coming back to my blog, and I hope to have a lot of more good stuff out for you in the coming weeks. Comment, share, subscribe, whatever… just keep reading! Another Random Section of My Book. This is a sample of the book I am writing, I’m not going to tell you where it is in the book, but I will tell you this: It’s only on page 16.